1. Mice. God I hate the mice. We’ve had mice issues off and on since we moved into this house almost exactly a year ago. Old house +cold weather+out in the country= EEEK ! There is something running on the counter top. Lately the mouse problem has been bad…like we’ve killed 6 mice in the last week bad. I am so annoyed because A) the kitchen has never been cleaner, we literally don’t have a dish or a scrap of food on the counters at all, so I don’t know what is attracting them and B) We are paying a pest control company and every time they come out they say they “see no evidence” of mice. Huh? Maybe I should wrap up the corpses and give them to the guy when he comes this week. Today I walked into the kitchen while the baby was mercifully napping and there were two mice cavorting on my clean counter top. One I chased onto a glue trap but the other got away, damn it. I set more traps and am hoping to catch him tonight, ideally before bed. 2. The snow. So, so, so pretty in my yard. Sparkling white, with deer tracks crisscrossing gently through it. So, so, so yucky on my street when there has been no plowing for several days. I really, really want to take the baby to daycare tomorrow (I’ve got so plans to have some alone time, including finally getting some exercise) and I really need the roads to not be so scary to drive on. Or I need to buck up and learn how to drive better on the snow. Either option, really. 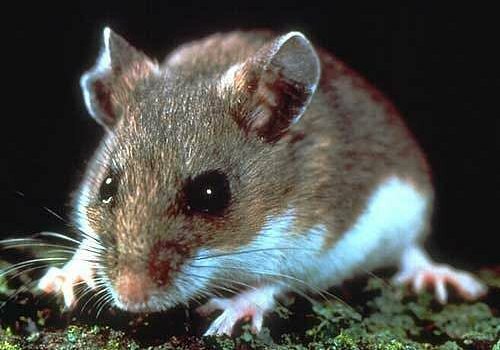 Mouse picture found here: http://share3.esd105.wednet.edu/rsandelin/NWnature/Photos/Deer%20mouse.jpg I so don’t have the camera skills or desire to take pictures of the damned mice in my house.